Okay, checked out the "search" feature on here and just got more confused. Can anyone offer a simple (intuitive and hopefully not too technical) explanation of what the term "high aspect" or "high aspect ratio" means? I see the term a lot, but seldom see anyone mention "low aspect". Aside from just being curious, I'd like to know so when I'm looking at making a purchase and see the term for a kite I know what it means. 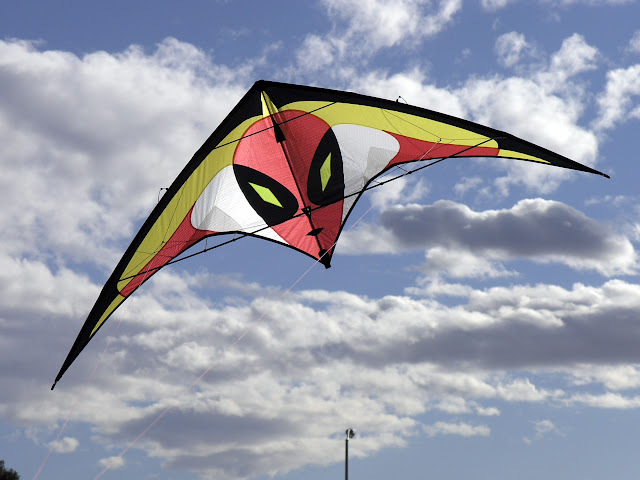 Maybe you could give some examples of some popular kites to use as reference points, too. The aspect ratio is wingspan/height of the kite. 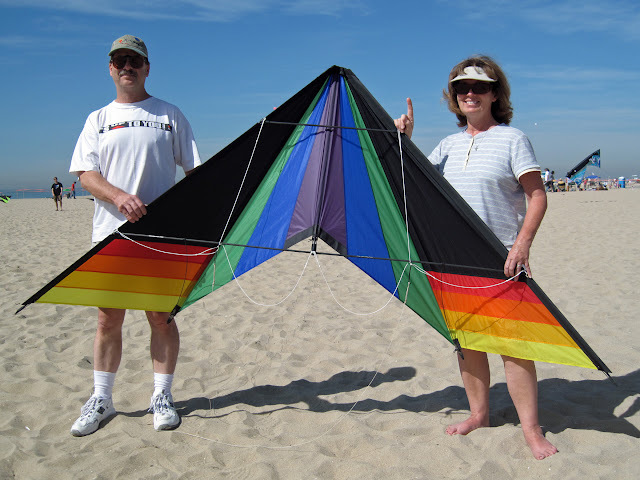 Hi-speedkites have usually a very high aspect ratio ; precision kites a lower one. 1. high aspect ratio makes a better trick kite? 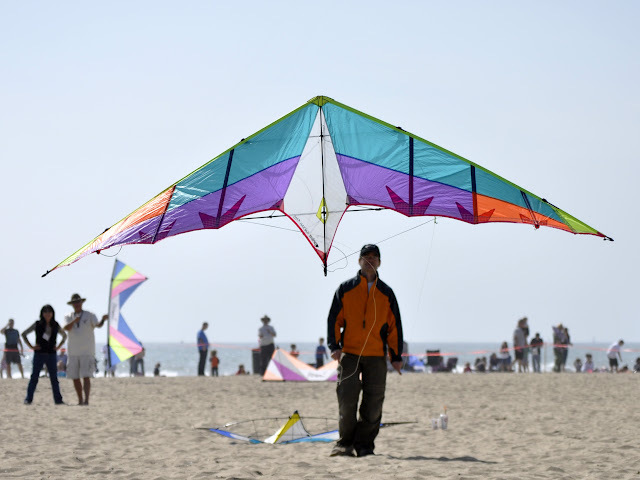 2. low aspect ratio makes a more stable kite? Actually, for a wing, the aspect ratio (AS) is the wingspan squared divided by the area of the wing. For a rectangle, this formula does reduce to wingspan/height as Tataouine stated. Basically, High aspect kites are (generally) low and wide with short spines whereas Low aspect kites tend to be taller with longer spines. No. 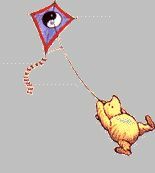 There are many other variables which contribute to how a kite flys so for both high and low A/R kites you can find examples that trick and won't trick. However its fair to say that high A/Rs however are popular for trick kites. For tricking, to me, often comes down to how the kite lazys as a key difference. I've found that higher aspect ratio kites will lazy smoother with less slack on the non pulling hand. They also transition better from 1/2 lazy to a fade - faster and smoother likely due to less air resistance with the smaller sail area. Whenever I try a lower aspect kite, it takes me a few minutes of flying to dial in to it's lazy lazy. Lower aspect seems to fly better in lower wind with more drive and a good one flat spins very nicely. The best precision kites I've tried had a lower ar - they just lock on. Just my opinion given the kites that I've flown. 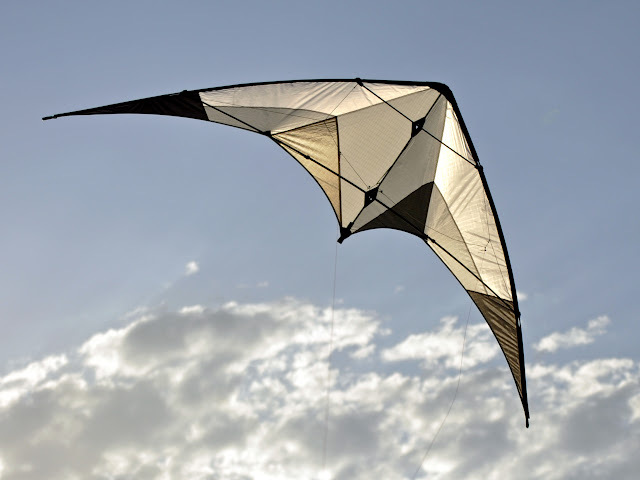 The terminolvy originated in the late 1980's in regard to kites. At that time the most popular kites out were the Top of the Line Hawaiian Team & Spin-offs and were thus considered the standard others we measured against so unlike John's example the TOTL Hawaiian Team and Spin-off were considered nuetral. They share the same geometry of a 45 degree nose angle thus being twice as wide as they are tall. High aspect ratio refered to kites that were more then twice as wide as they were tall, that Prism Radian being a great example. Low aspect ratio kites fell into the opposite definition where they were less then twice as wide as they were tall, the Tracer and many early Bettencourt designs fell into this classification. Although we are technically talking about wings and using terminology here also used in aircraft design for kiting purposes we have always used the simpler width/height equation. Most current kites would fall into the high aspect ratio by that original defintion so the line has become blurred and is only relevant as saying one kite has a higher or lower aspect ratio then another. Ohhhhhhh, THAT high aspect ratio! I get it now. Thanks to all of you, good explanations and one more piece of knowledge in the bank. Just to be sure, it might be splitting hairs, but the Mamba would be a somewhat higher aspect ratio than the Mongoose (judging from Blue Moon web pics)? They're remarkably close to each other, without holding the two together I'd say the Mongoose is the *slightly* higher A/R. The Mongoose certainly 'feels' like what you would associate with a higher A/R, that gets back to what I said about there being more to it than just the A/R itself. In this case its more to do with the standoff positions and the trailing edge cut making the Mongoose very pitchy. Thanks, Ian, that's okay. I wasn't interested in either kite in particular (right now), just happened to be looking at the online at that moment. Sounds like I got it wrong though. From the pictures I saw it looked like one was noticeably wider that the other with a shorter spine. I'll have to study this further. In some of the photos the Mambas seem to be leaning bike which makes them look higher A/R but if you look at the specs their wingspan is within half an inch of each other and the Mamba has the longer spine.